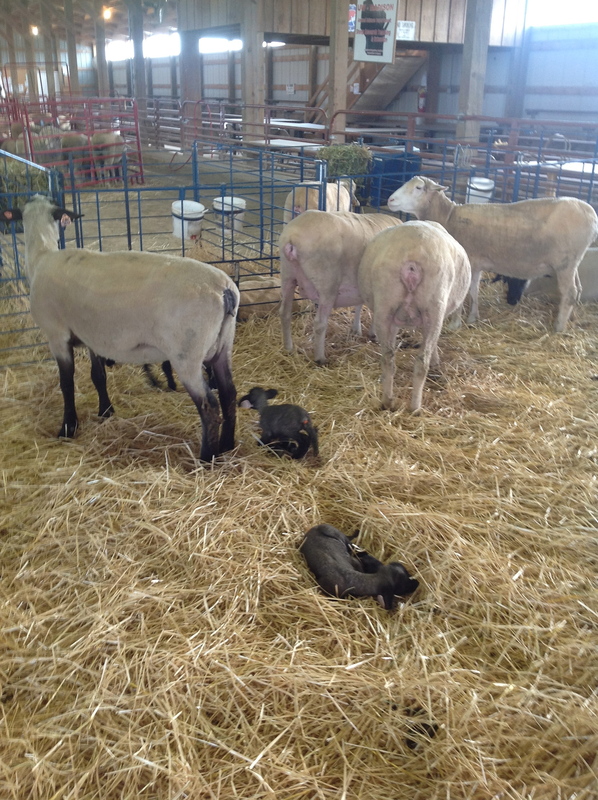 Of course I saw sheep at the Wisconsin Sheep & Wool Festival this past weekend, it is just that my purchases took up most of my blogging space yesterday. And, if you have never seen sheep sheared, watch these videos. This guy is at the fair every year, and it is fascinating to watch. 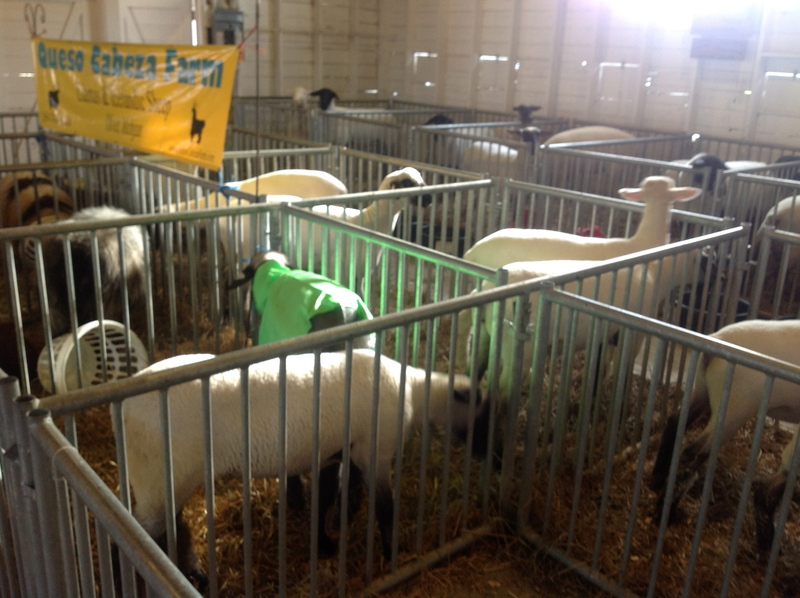 Once the sheep are flipped onto their backs they are very docile. On our visit to Old World Wisconsin they were making Tomato Jam at the Inn, and I got very interested in what this was like, so made up a batch of it last night. Dan had it for breakfast, and said that it was very good. 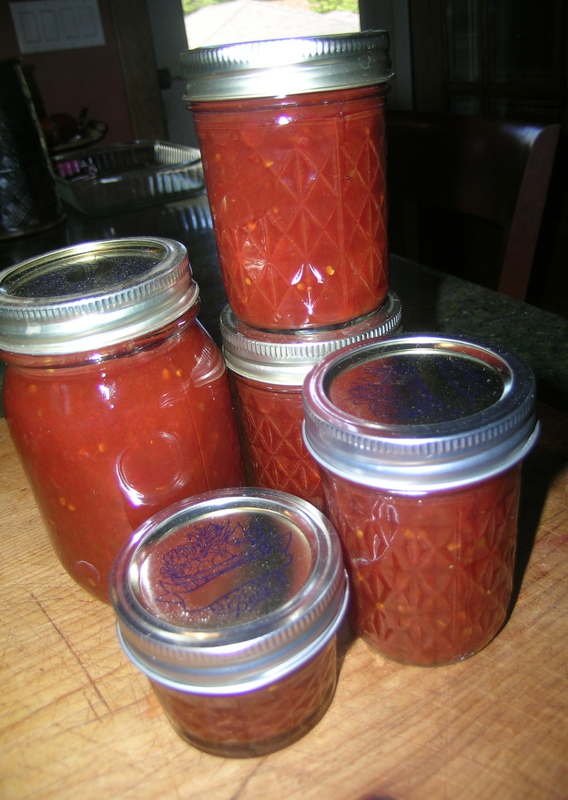 Here is the recipe that I ended up using, it takes awhile to cook the tomatoes down. Grandpa’s Sauce is on the burner today, that also simmers for hours to get the great reduction. 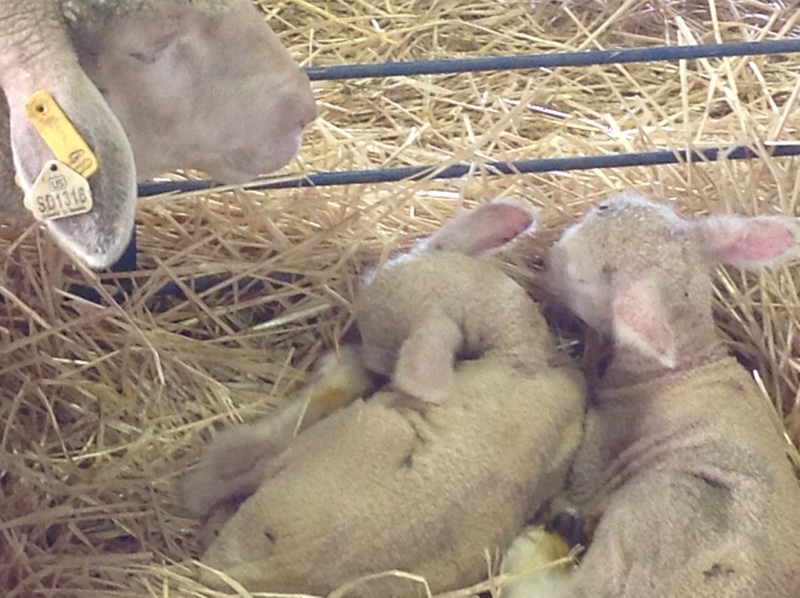 Thanks for sharing those videos – somehow I managed to miss the sheep-shearing demo, I was so bummed! I love how the other sheep come over to watch their friend.